Proposal puts more money into classrooms, more troopers on the road and shifts climate issues to new agency. Gov. 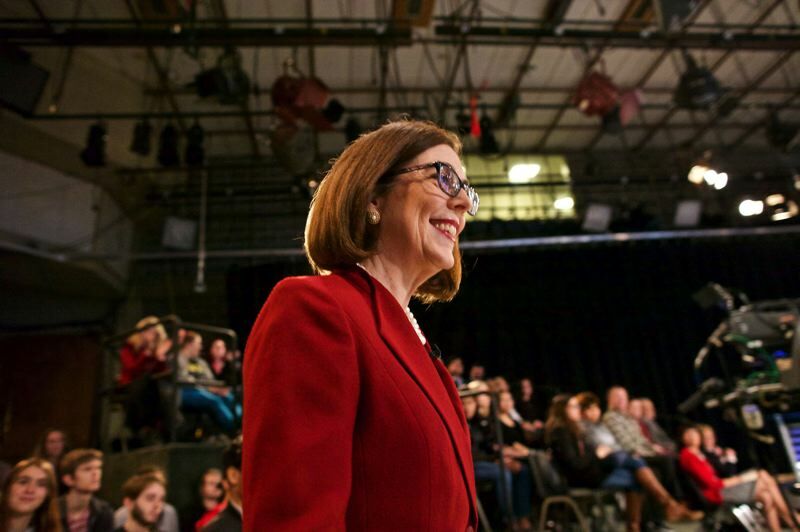 Kate Brown stood at her lectern in the walnut-paneled ceremonial office Wednesday morning to deliver a symbolic message as she released a budget she characterized as "ambitious." "Oregon's motto is not 'She rests on her laurels.' It is 'She flies with her own wings.' And I think it's time for Oregon to soar," Brown told reporters. In revealing ambitions for her final term, Brown announced a record expansion of school funding, a revamping of the state approach to energy issues and readying for legal battle against the Trump administration. 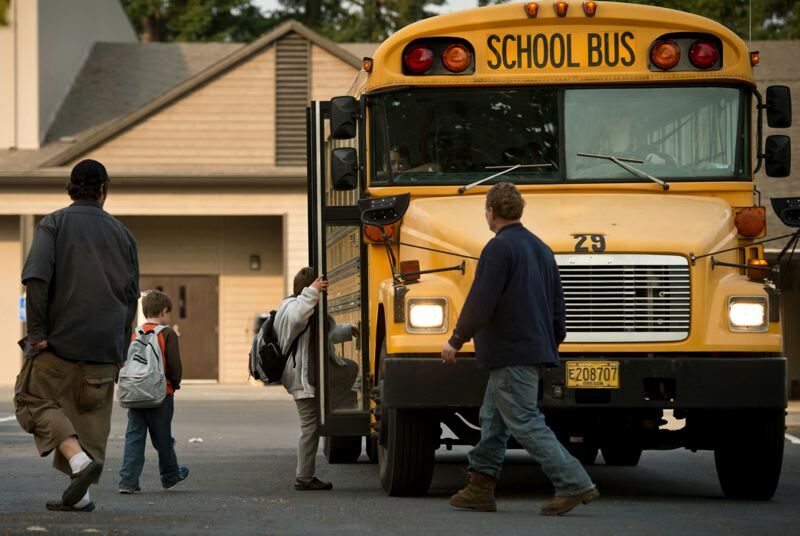 Under her proposed $83.5 billion two-year budget, school kids would have smaller classes and more teachers, more Oregonians could find housing, and the state's highway would be patrolled by more troopers. Brown's two-year state budget includes $22.3 billion in general fund spending. The state is working off a $74 billion budget that includes $19.8 billion in general fund money, which primarily comes from tax collections. Brown unveiled her spending blueprint at a news conference at the Capitol. Her ideas now face the legislative gauntlet and certain modification before the new budget cycle starts next July 1. Part of that process will be finding the money to make such a large investment in education. State Sen. Tim Knopp, R-Bend, said he believes there is bipartisan appetite for such a budget. In fact, as a member of an interim committee looking into education funding, Knopp said he thinks the Legislature will ultimately pass a larger, more expensive education package than Brown is proposing. "I think the governor's proposal is a great starting point, and there are likely to be additional investments that need to be made," he said. 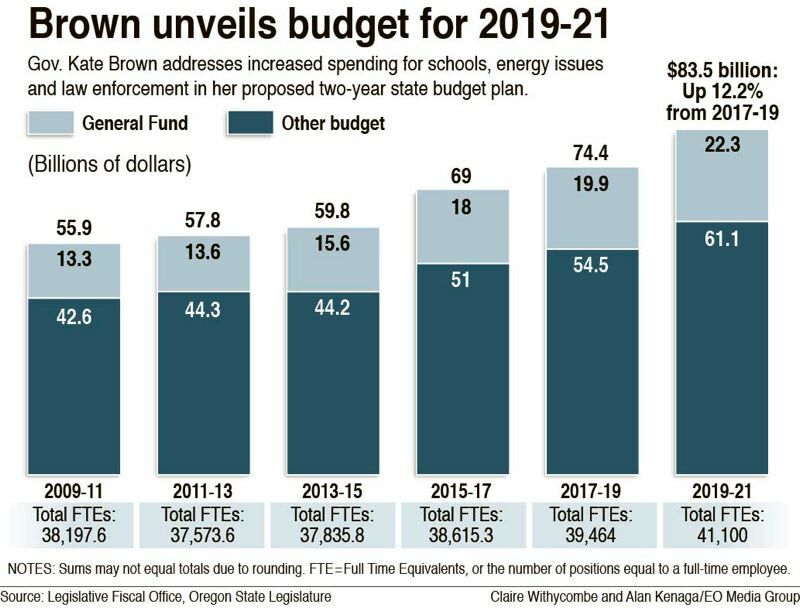 During the past three decades, Oregon has ignored education spending, Brown said during her Nov. 28 budget presentation. The state has fallen into a housing crisis and has failed to fight climate change. With a strong economy, now is the time to reach to the state's potential, she said. "We can no longer do things the way we have in the past. We must go up as a state, and we need to decide together what kind of state we want to be over the next 20 years." During the campaign, she told The Times editorial board that her legacy would be Future Ready Oregon, her comprehensive policy designed to steer the state's economy for generations while withstanding economic downturns. The building blocks for that can be found throughout her proposed budget, from the $2 billion increase in education funding to the construction of up to 2,100 affordable homes to increases in child welfare services. "She's been around long enough to know this is her four years of opportunity," said Katy Coba, director of the Department of Administrative Services. "This budget does lay that ground work." Coba has been in state politics for more than two decades, and led the state Department of Agriculture before Brown appointed her to run DAS in 2016. She said with a strong economy and a Legislature favorable to Brown's policies, the "stars aligned." "It is truly a historic opportunity for a governor to put together an aggressive budget, and that is exactly what this governor has done," Coba said. Brown clearly was focused on schools. According to the proposed budget, education is now underfunded by $1 billion per year. To counter that, Brown is proposing spending $800 million of her new education dollars on bolstering the K-12 system, expanding the school year to 180 days school year and limiting class sizes for kindergarten through third grade. The proposed budget opens up 10,000 new state-funded preschool slots and dedicates $4 million for state visits to homes with young children. The governor has also made career technical training a larger part of public education, proposing an additional $133 million goes to CTE programs in public schools and $70 million goes to colleges. Knopp said the emphasis on early learning and CTE is vital. "That is one thing we have seen has made a difference in graduation rates," he said. But Knopp said the Student Success Committee isn't done. It toured the state and found that each region has different needs, and the committee plans to address them. "I think you are going to see some equally ambitious proposals from the Student Success Committee in improving education," he said. While education is a huge part of her investment package, Brown also wants to allocate $406 million to the state's housing crisis, spending on new affordable units, housing assistance programs, providing gap financing for new construction, and funding efforts to eradicate child and veteran homelessness in Oregon. Brown also unveiled her blueprint for Oregon to implement cap, trade and invest policy for carbon emissions. It would set gradually tighter limits for emissions and allow companies to sell any excess emissions capacity in the form of credits. Those credits could then be sold to other companies who exceed the limits. Similar legislation has been cycling through the Legislature in recent years. Less expected, however, is Brown's proposal to dismantle the Oregon Department of Energy and Carbon Policy Office and create the Oregon Climate Authority. Brown needs legislative approval to make the change and it's unclear what would happen to other duties in the beleaguered Energy Department. 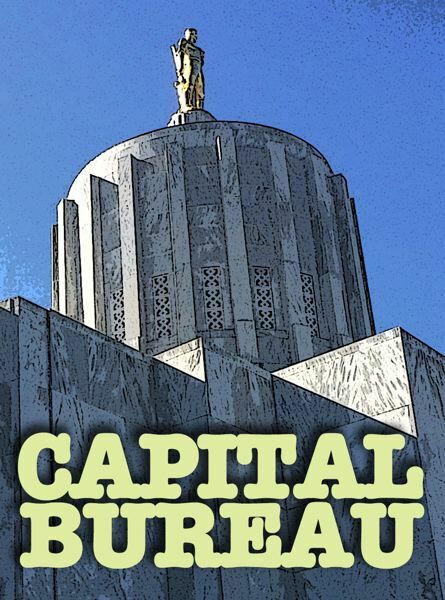 Brown's policy advisers, Jason Miner and Kristen Sheeran, said the Legislature will look at what the state wants to accomplish, and put responsibilities that fit under Oregon Climate Authority and move the others to different agencies, such as the Department of Environmental Quality. Sheeran said the state is leaving the option open to join an existing third-party marketplace that several governments in the U.S. and Canada use to trade but might start its own marketplace. While the logistics are still being figured out, Sheeran said this new agency is groundbreaking and unlike any other in the nation. The policies are flashy and expensive, but they are also what Brown campaigned on. Issues such as education spending and a carbon cap have been examined in recent months by legislative committees. "We're tackling some big things: education, health care, climate," Coba said. "Those are all big, big items. And yet, there seems to be a lot of political alignment, so it's not coming out of left field. These things are T'd up." In addition to the more eye-catching pillars of the budget, Brown is proposing other impactful policies throughout. 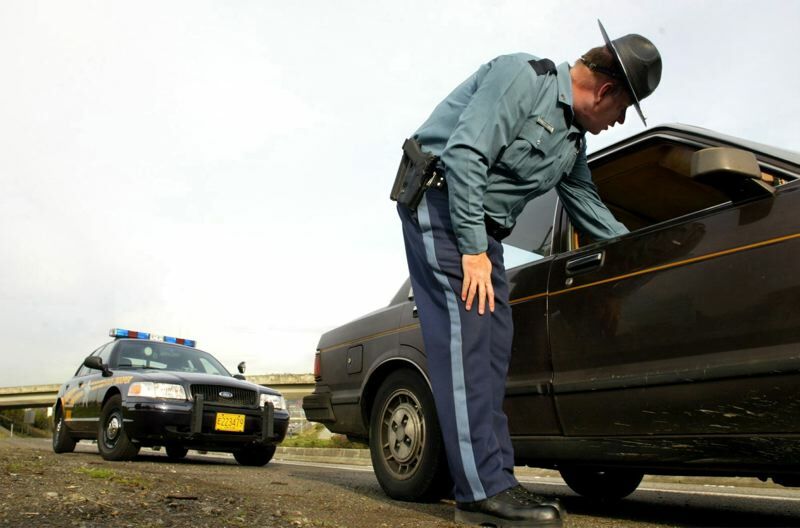 The Oregon State Police is funded by the general fund, where there is always high competition for dollars. As a result, trooper numbers have not kept pace with population increases, and there are now eight troopers for every 100,000 Oregonians. Brown plans to double the number of troopers in the next decade, and is starting by allocating $11 million to fill vacancies and add 10 new positions. She also said she will seek modest gun control legislation and follow up on the campaign promise of spending in rural Oregon. The governor shared other proposals to change the state that don't cost tens or hundreds of millions of dollars. She wants to push for campaign finance reform, establish a commission to look into "dark money" and a real-time reporting of spending and contributions for political campaigns. She also wants to expand her motor voter policy so Oregonians buying fishing licenses, taking public college classes or signing up for health care through the state exchange automatically will be registered to vote, as they are now when registering with the DMV. Additionally, Brown is proposing that mailed ballots come with return envelopes carrying prepaid postage. "This has been a dream for me since my days as secretary of state," Brown said. Brown said legally, she has the authority to make this change, though she hasn't talked with Secretary of State Dennis Richardson about expanding motor voter. She said the expansion will be gradual and in line with computer improvements. The budget plan also includes $875 million from new and renewed taxes and penalties, including a $2 per-pack cigarette tax. She also plans to hire 13 internal state agency auditors to look for ways to be more efficient. Funding for Brown's investment proposals have not been worked out. Brown said she is committed to her policy ideas, and believes Oregonians want to pay for these investments. In the 2019 Legislature, Brown said she will work with lawmakers as well as the backers of the Common Good Fund, comprised of businesses like Nike as well as unions, to come up with revenue. "It's going to take more than legislators and myself and members of the business community to make this happen," Brown said. "It's going to take all of us rowing together." Brown repeatedly said with a strong economy and support in the Legislature, the time to make huge changes is here. "I would argue we can't afford not to," she said.